Starmobile's new flagship the Starmobile Diamond V3, another quad-core mobile, featuring Glove Touch technology that can only be seen from Sony Xperia product lines. While Starmobile Diamond V3 has 12MP back camera with backside illuminated sensors (BSI), so taking pictures on low light condition is not a problem at, plus the 3MP front camera still with BSI technology that are pretty much appreciated by selfies. 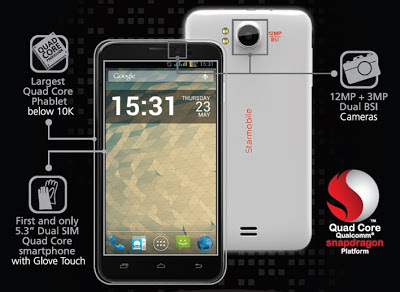 Starmobile also emphasize that Starmobile Diamond V3 is the largest quad-core phablet that is below Php10,000. 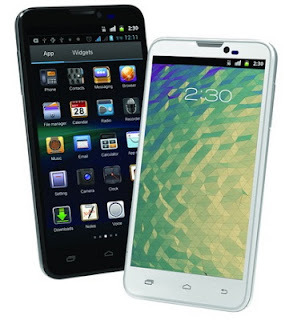 That's a good news for everyone who are still looking for a quad-core smartphone at an affordable price at Php8,990 and it will be released tomorrow June 25, 2013. Available in the Philippines starting June 25, 2013 nationwide. Kindly share your experience with Starmobile Diamond V3!